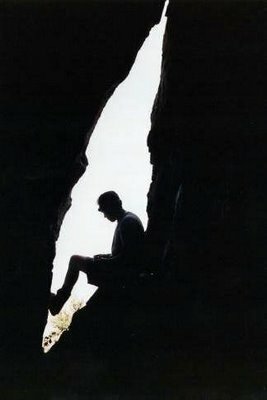 Springville Cave – Springville, Utah – This cave is mostly horizontal for about 300 feet, at which point the only direction to go is up. Chimney up for about 20-30 feet then there is another horizontal passage. There’s a really tight spot that blocks most cavers, but continuing through opens up to a room that splits off into a few different passages. All of them dead end relatively quickly except for one that goes straight up. Unfortunately the walls are too far apart for chimney-ing, and the rock is too slick to climb, so there may be more we don’t know about. This could be pushed if there was a small well experienced leader willing to try. I would not recommend trying if you don’t have many caving leads under your belt. The fall could potentially be deadly. This cave seems interesting when you say tight spot, how small would one have to be to get through? And on the mobile version where is the follow button?